Fantastic brick ranch with a huge yard on a great block! 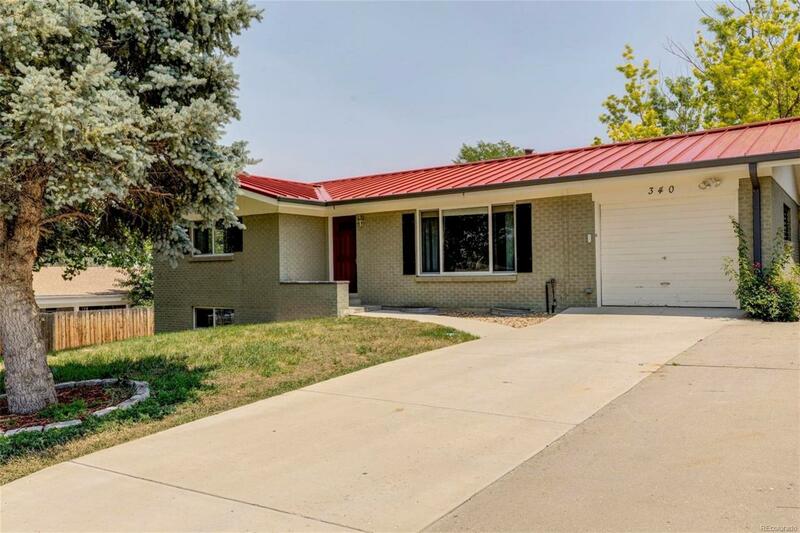 This 4 bed, 2 bath home features a new metal roof with oversize gutters, a fully finished garden level basement and an enclosed mud room/workshop. Newly remodeled in 2012, this home has newer windows, doors, and an updated kitchen with granite counters and stainless appliances (brand new stove and microwave). The main level boasts beautiful hardwood floors throughout, an updated full bath, and an eat-in kitchen area. Don't miss the large paver patio with a built-in fire pit, central A/C, and a storage shed. No HOA's in this great neighborhood so bring all the toys. This home has it all, especially location. Only minutes away from the Light Rail/RTD, Union Blvd shops and restaurants, Federal Center, and St. Anthony's Hospital. Don't miss this one! Offered by Mb Market Masters Real Estate.